So far, only two Republicans have spots guaranteed on the primary ballot in the U.S. Senate Race. 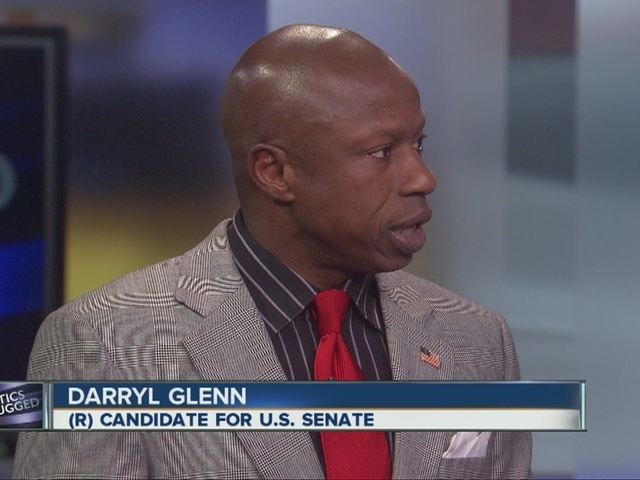 One of them, former El Paso County commissioner Darryl Glenn, won his place at the top of that ballot during the state Republican convention earlier this month. Glen stopped by Politics Unplugged this week to talk about the race with hosts Anne Trujillo & Marshal Zelinger. They also discussed going back to making primaries a bigger part of the election process in Colorado and campaign financing. Glenn said he won his spot on the ballot by campaigning hard and not by spending a lot of money.